Olympiacos has not scheduled a meeting with Ioannis Papapetrou and is currently waiting on his free-agency decision. Olympiacos has offered Ioannis Papapetrou a three-year contract (2+1), while head coach David Blatt has spoken with Olympiacos‘ forward regarding his future and how he envisions his role in the team. However, it is true that no meeting between the two sides has been scheduled for Thursday. According to Eurohoops sources, Olympiacos remains Papapetrou’s first priority. The Greek international has received two offers from other Turkish Airlines EuroLeague teams (one includes Panathinaikos Athens Superfoods). 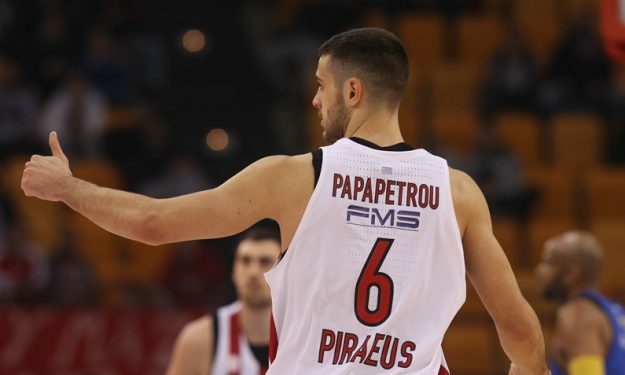 After re-signing Vasilis Spanoulis and Kostas Papanikolaou, Olympiacos wants to also keep Papapetrou and is currently waiting on his decision.